The sign of great parenting is not the child’s behavior. The sign of truly great parenting is the parent’s behavior-Andy Smithson. The reality is that your kids watch what you do more than what we say. They know whether we approve of a negative behavior or disapprove of it. Your child can’t in anyway be different from you. Your action and inaction contribute significantly in molding and shaping the personality that would emerge as adult individual some days to come. The question is: do we show improper upbringing of our kids, yes, some parents do and most of the time they do it without knowing. Take a look at the under listed scenarios and see ways you might not be aware you are contributing negatively to the moral upbringing of your child. If you identify any such behaviors, be quick to correct them in a lovely manner. Don’t go to your child school inappropriately dressed. Your kid’s and the friends have so much respect for you so reflect on this anytime you want to go visit them. The impression you create may last forever in their minds whether negatively or positively. Don’t talk to your kid’s teacher in front of them with harsh words. The teacher may offend your kid, but follow the school guidelines by reporting any misconduct to the school management without becoming rude to the teacher. 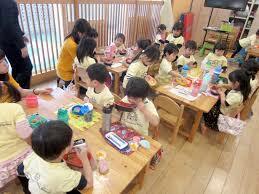 The teacher is placed there to mold and train your kids so that the best may come out of them. Your child is smarter than you think he or she is. They observe anything you do and pick these negative habits from you each and every day. If you don’t want your kids to lose their sense of “princesshood”, then reconsider how you dress them when they are going out to the public. Do you know the way you dress her tells the kind of image she may carry in her mind? It’s not everything that’s worth emulating. Let your child knows what is expected of him as a son. Inculcate the high moral value in him and the kind of life society expected of him. If he grows up and pick his own lifestyle, you have play your part as a responsible parent. Don’t think he or she is a child and may grow up to do what’s right. Your visitors may carry a negative impression about the kind of training you are giving them. It will be difficult to correct this bad impression about you and it will be difficult to make a second impression on your visitors. Don’t allow your kids to eat with their mouth opened and the food scattered on the table mat. Teach them good table manners. Let them pick this right behavior from the onset. Do you check regularly your child’s bag? If you do regularly you will know whether he or she has brought something foreign to the house. Your kid may pick something that don’t belong to him or her. Let them return it immediately. Let them know you don’t approve this type of behavior. It amounts to thievery. Don’t allow the age of modernity blind you from teaching your child how to talk to people with respect. Don’t encourage them to talk back to you when you are correcting them because you are modern mum or dad. Teach your child this basic manners. They should know when to give you privacy when you have visitors. Don’t assumed they are bold and clever. It’s really bad manners. Don’t forget your child will grow up and treat people badly when you encourage this negative type of behavior. Don’t be a bad parent by allowing this type of behavior. All the figures are not equal. There will always be those who are less fortunate than us and such people must be respected. Let them learn to show compassion to people who are less privileged than them. Your child touches so many things before coming home. Teach them to adopt proper hygienic practices by washing their hands with soup before picking things around to eat when they return from school. I know you love your kids but teach them to seek permission before taking things from the house to the school or outside. You will never know what they are likely to send out. Asking permission for basic thing is the value to inculcate to young children. I disagree with people who say people should not be taught to ask for permission. Teach your children to knock and get a response before opening the door. When he or she acquires this positive behavior it will carry them on throughout life. Don’t allow your kids to watch you as a visitor when you are coming home carrying something. Let them practice this value anytime you coming back home by collecting it from you to demonstrate respect to you. Don’t look on when your child comes home without greeting you. Be a responsible parent by teaching them to do this each other day. We’ve been able to look at 20 morally negative behaviors that parents should not ignored when you want your kids to become a responsible adult in the future.